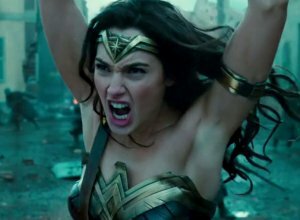 Diana Prince is one of the Amazon warriors of Themyscira, a tribe of women with extraordinary power. There is no-one quite as extraordinary, however, as Diana herself. After being shown the noble Sword of Athena as a young girl, our heroine becomes determined to be the one who wields it, training in all areas of combat. When her incredible powers start to shine through, her mother Hippolyta does not want to tell her the truth about her creation. As oblivious as she is to the secrets of her birthright, she becomes determined to save the world after rescuing a marooned military pilot named Steve Trevor. When he informs her of the danger that her kind faces, she insists on going with him to win the war and save the world. Of course, London is hardly the place she wants to be, but she finds new friendships in Steve and his quirky secretary Etta Candy. A host of TV and movie stars were spotted arriving at Carnegie Hall in New York for the 2014 Glamour Women of the Year Awards. Among them were 'Red 2' star Bruce Willis with his wife Emma Heming and Mindy Kaling from 'The Mindy Project', who dazzled in a short blue number. Victoria's Secret Angel Doutzen Kroes was among stars spotted at the Fashion Group International's 30th Annual Night Of Stars at Cipriani Wall Street in New York. FGI is a non-profit organisation devoted to improving the fashion industry and helping members with career opportunities. Brad Pitt arrived at a low-key premiere for his upcoming movie Killing Them Softly at the SVA Theater in New York City on Monday evening (November 26, 2012). 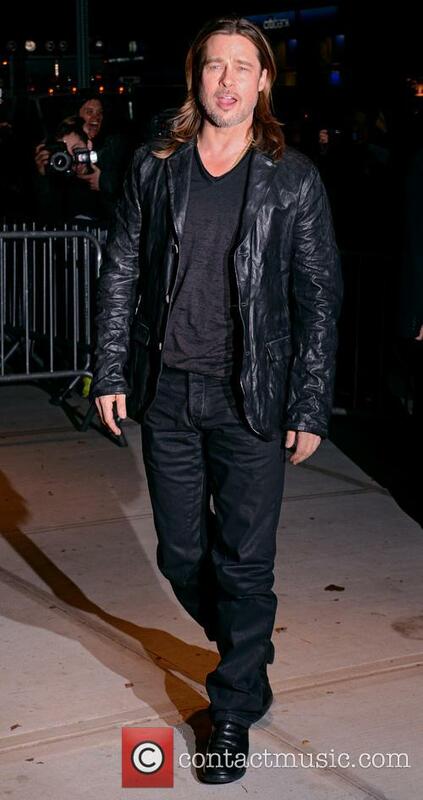 Wearing an understated ensemble of black jeans, black t-shirt and black leather jacket, the Hollywood star let his female co-stars and various others celebrities take the limelight on the red carpet. It's been a pretty busy year for Pitt, who was a mainstay over the movie festival season, particularly at Cannes. Killing Them Softly went down well with critics in France, though the film seems to have taken an age to make it to the big screen. Pitt plays Jackie Cogan, an enforcer hired to restore order and three dumb guys rob a Mob protected card game, causing the local criminal economy to collapse. Robbie Collin of The Telegraph said, "Killing Them Softly has the rigor and poise of the great American crime pictures of the 1970s." So far, Oscar talk has been limited, though Pitt won't have had time to get caught up in the awards' season speculation having spent the summer in London shooting World War Z. "I didn't know it was Thanksgiving until like midday. Until [the] afternoon.When you're overseas, they don't celebrate it in England," he told People magazine. Various Victoria's Secret models wander around backstage at the annual Victoria's Secret Fashion Show dressed in identical pink dressing gowns. Some are chatting animatedly with each other and others are seated getting their hair curled and make-up applied by professionals. Many also attempt to touch up their make-up and arrange their hairstyles themselves while most are happy to pose and blow kisses for the various photographers dotted around.